Zero Down Mortgage: Can I Get One to Buy a House? 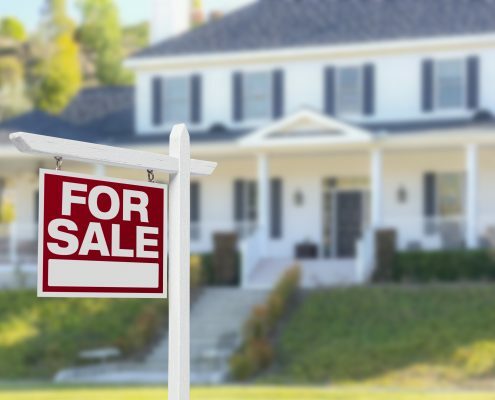 Did you know that it’s possible to buy a house without putting any money into a down payment? That’s right; there are fantastic zero down payment home loans available to finance your new home. Read on to learn more about some terrific zero down payment home loans and how you can get one to buy a house. What is a Zero-Down Loan? A zero-down loan, also known as 100% financing, is a mortgage that doesn’t require the borrower to put any money toward a down payment. A benefit of this kind of financing option is that you don’t need to save a pile of money for a down payment on a house. Instead, you can buy a home and begin directing your money into building equity. Of course, no decision is perfect, and a zero-down loan does come with a few caveats. For example, you could owe more on your house than it is worth if the real estate market weakens after you purchase your home. 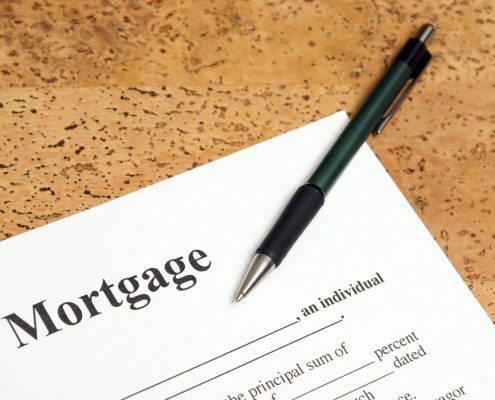 In many cases, the interest rate on a 100% financed loan is higher than with other mortgages. You’ll also often need to pay for private mortgage insurance which can add a significant amount of money to your monthly mortgage payment. The best way to locate optimal 100% financed home loans is to work with an experienced loan specialist who can match you with mortgages that suit your financial circumstances. Have you thought about working with a Homes for Heroes affiliate lending specialist to finance your new home? The loan specialists who partner with us are experts in finding outstanding home loans for Heroes in their communities. They also save Heroes money by discounting their lending fees, making your home purchase more affordable. 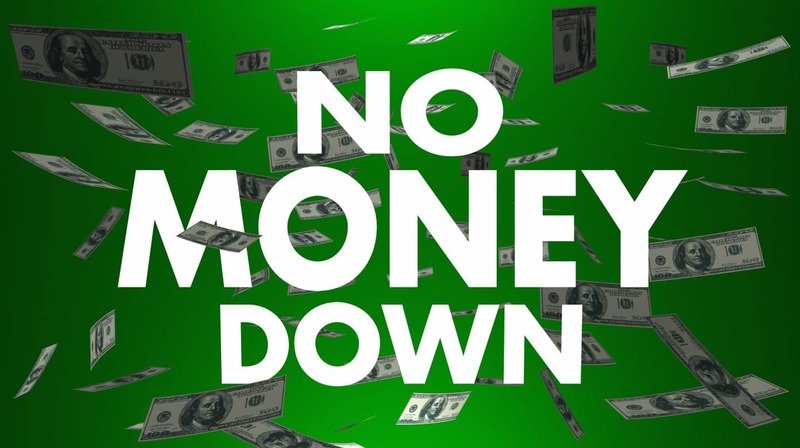 Discerning buyers will find a variety of no money down home loans from which to choose. The eligibility criteria differ for the various lending options so you’ll need to rely on your loan specialist to find specific loans that fit your requirements. Relaxed credit score requirements – Lenders typically accept a credit score of 620 and above. Although FHA loans are not technically zero down mortgages, it is possible to use gift and grant money for your down payment. FHA loans come for as little as 3.5% of the purchase price paid as a down payment. Since the Federal Housing Authority backs FHA loans, lenders are relatively forgiving of less than compelling credit histories, and it’s possible to obtain a 3.5% down payment loan with a credit score of at least 580. The ability to use sources other than your savings for a down payment makes this loan workable for borrowers who want a zero down mortgage. Borrowers can get money from gifts, government grants, and charitable aid. A downside to paying less than 10% of the purchase price in an FHA mortgage is that private mortgage insurance attaches throughout the life of the loan. Make sure that you take the added private mortgage insurance expense into account when you consider an FHA mortgage. Another excellent minimal down payment mortgage option is the Fannie Mae Conventional 97. You’ll need to put forth a 3% down payment with this loan, but the funds can come from gifts and grants. An important thing to know about the Fannie Mae Conventional 97 is that it’s only available as a 30-year fixed rate loan and the maximum mortgage amount is currently $453,100 for most parts of the United States. Also, even though the United States Government backs the loan, lenders usually want a credit score of 680 to be eligible for this home loan. Lastly, don’t let the lack of down payment money keep you from enjoying the benefits of homeownership. An expert loan specialist associated with Homes for Heroes can introduce you to a variety of outstanding zero and minimum down payment home loans, while also saving you valuable money through their discounted loan fees. SIGN UP today to speak with a Homes for Heroes real estate specialist about how we can help you with your real estate needs.